A black sedan crashed head-on into a silver sedan killing two people and injuring three others Saturday afternoon on Highway 166 in Santa Barbara County, according to the California Highway Patrol. 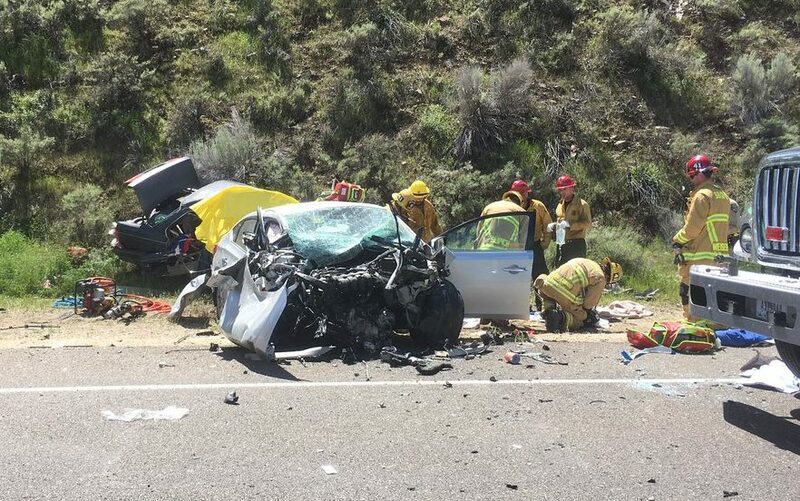 At about 12:30 p.m., the sedans collided on Highway 166 in the Cuyama area. Both the driver and the passenger in one of the vehicles died at the scene. Shortly after 1 p.m., emergency crews shut down both lanes of the highway so that a Cal Star helicopter could land. One person, who was seriously injured, was transported by helicopter to a local hospital. Two other people, one suffering serious injuries and the other with moderate injuries, were transported to a local hospital by ambulance. Officials have yet to release the names of the victims. It is also unclear if drugs or alcohol were possible factors in the collision. ← Previous Previous post: Are you a New Progressive?